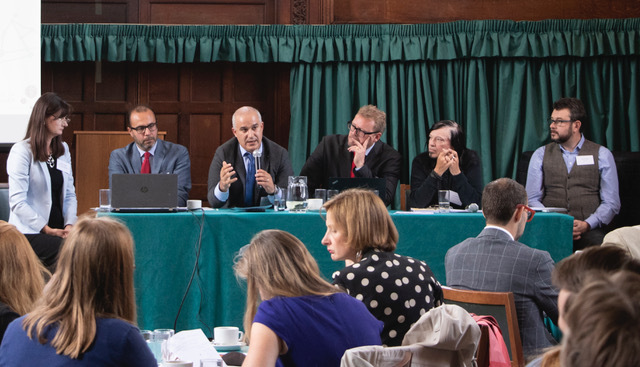 Andrew Katz, CEO and head of tech and IP at Moorcrofts, formed part of the panel at the PHG Foundation conference on 7 September 2018 in Cambridge, discussing regulating algorithms in healthcare, liability and intellectual property. The PHG foundation, along with their partners, the Centre for Advanced Studies in Biomedical Innovation Law, University of Copenhagen (CeBIL), and the Centre for Law, Medicine and Life Sciences, University of Cambridge (LML), hosted the day which exceeded expectations in promoting dialogue and ideas. Algorithms and artificial intelligence are becoming increasingly prevalent in healthcare, and the opportunities they present are enormous. However, the law lags well behind reality and the conference aimed to examine these issues. Questions that arose from the forum included the likes of: what is the legal framework for the use of algorithms in healthcare, including who owns the intellectual property in, and arising from the use of an algorithm? And, how well do clinicians and technology developers understand their rights and responsibilities when using or developing algorithms that have to deliver clinical decisions? A key issue which Andrew has researched with a number of clients is who owns the IP in the output of an algorithm, if the output is itself another algorithm. By connecting developers with users and regulators, and working together to better understand the regulatory landscape regarding the issues surrounding algorithms in healthcare, these problems within the sector can be considered, and appropriate approaches to government and regulators can be made to craft legislation which deals specifically with these issues. For further information, please contact Andrew Katz.